At the World Economic Forum Annual Meeting 2018 in Davos, Prime Minister Narendra Modi in his opening address spoke about the transformative impact of technology not only on an individual’s life, their work and their behaviour, but also on international politics and the economy. 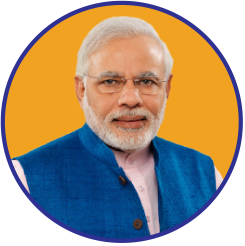 While the Prime Minister has launched and implemented several forward-looking initiatives to solve the problems of access to finance, starting businesses and energy access among others, the Fourth Industrial Revolution presents a tremendous opportunity for India to bypass traditional phases of development and improve the quality of life of its citizens by overcoming infrastructural and other barriers through technology. This message is consistent with that of many world leaders. Realizing these opportunities and challenges, the Forum is working closely with the decision-makers to harness the transformative power of the Fourth Industrial Revolution for the benefit of society. The Forum established the Centre for the Fourth Industrial Revolution Networkin 2017 to co-design creative solutions to address the challenges associated with emerging technologies. Headquartered in San Francisco, in close proximity to the world’s leading technology companies, start-ups, investors, venture capital firms and academic institutions, the network aims to help shape the development and application of new and emerging technologies in the global public interest while simultaneously minimizing their risks. India is among the countries that are at the forefront of creating future-oriented technology policies, and is demonstrating innovative ways to harness the power of technology for the individual as well as for human society. To further its success in this capacity, the Centre for the Fourth Industrial Revolution India has been developed in partnership with the Government of India and will serve as a trusted space for the government, leading companies, academia, civil society and international organizations to co-design, test and scale-up policy frameworks, industry standards, norms and guidelines for governing Fourth Industrial Revolution technologies. If 1985, when the Forum hosted the first India Economic Summit, was an inflection point for us in India, today is another important one with the launch of the centre. One of the many areas that technology can have a tremendous impact is agriculture. The Indian economy is significantly dependent on the agricultural economy as over 60% of the population is directly or indirectly engaged. The agriculture sector will play an important role not only in promoting economic growth, but also in ensuring India’s food security, which will have the dual objective of fighting poverty and raising farmers’ income. Stakeholders of modern agriculture require considerable amount of high-quality, temporally relevant data. The data is critical for the stakeholders in optimizing their functions while also reducing costs, thereby improving efficiencies in the entire agricultural value chain. While the rapid emergence of machine learning algorithms represent a tremendous opportunity to leapfrog in formulating solutions to some of the most intractable challenges, proper collection and use of data from the internet of things, the right reward structure for the owners of the data, and ethical use of such algorithms need to be ensured. Blockchain with its secure and distributed architecture, smart contracts and tokens represents an opportunity to develop these solutions in a human-centric way so that the Fourth Industrial Revolution doesn’t benefit just the few but everyone. The centre will engage with the Government of Maharashtra and the private sector to map all the agricultural lands in an entire district using drones. These maps will have multiple uses, including crop health assessment, generation of prescription maps with location-based fertilizer recommendations, inspection of irrigation and other infrastructure, soil analysis, and crop volume assessment and prediction. Additionally, the project envisions collecting field-wise crop data from various sources on a periodic basis and integrating it on a common platform. Such data would then be published to relevant stakeholders through standardized interfaces/APIs. This project, the largest drone mapping effort in the history of India, will pilot innovative approaches to capturing and sharing new forms of data in ways that ensure safety and privacy while distributing benefits across society. The project will coincide with India’s new drones policy and showcase how drones can help tackle some of society’s toughest challenges. This is a new model that can be scaled up across India and globally. By empowering farmers with technology, we have the potential to raise agricultural productivity per unit of land, ensure that agriculture growth responds to food security needs and help reduce rural poverty. If the 20th century was shaped by political superpowers, much of the 21st century will be led by technology superpowers, shaping the future of business, society and possibly even human nature.For a very long time, the use of technology was limited to the more affluent members of society. The Fourth Industrial Revolution offers countries the opportunity to use technology to build a more inclusive and sustainable society. For a country like India, it will also play a pivotal role in shaping the global Fourth Industrial Revolution agenda in a responsible, scalable and inclusive manner. With its scale and diversity, any proof of a successful model can be replicated in other economies, affecting billions of people. This is the 35th year since the beginning of a very strong relationship between the World Economic Forum and India. In the intervening decades, India has opened its market, become a nuclear power, reached high levels of growth, and lifted hundreds of millions of people out of poverty. India today is the one of world’s fastest-growing economies, it isthe sixth-largest with a growing middle class and an unprecedented demographic advantage. We are proud that the Forum has been a part of this journey and aidedin India’s globalization process. We have no hesitation in saying that our collective destiny is, in a way, dependent on India’s destiny, and a bit of India is in all of our futures.